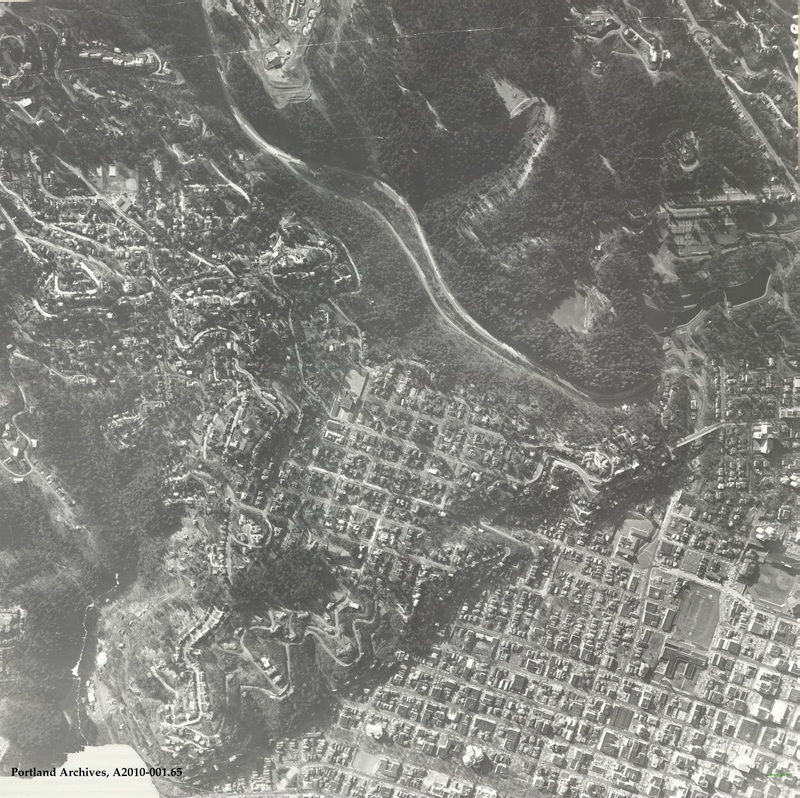 Aerial of the Southwest Hills, 1960. City of Portland (OR) Archives, A2010-001.65. 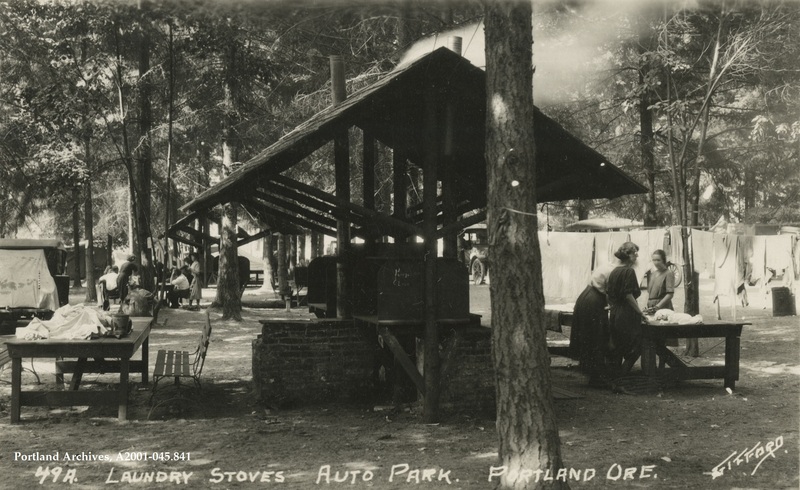 Laundry stoves at the Municipal Auto Camp at N Albina Avenue and Portland Boulevard, 1925. For another image of the camp, click here. City of Portland (OR) Archives, A2001-045.841. Can anyone tell us where this lot is located? The image was taken circa 1976. City of Portland (OR) Archives, 1976. 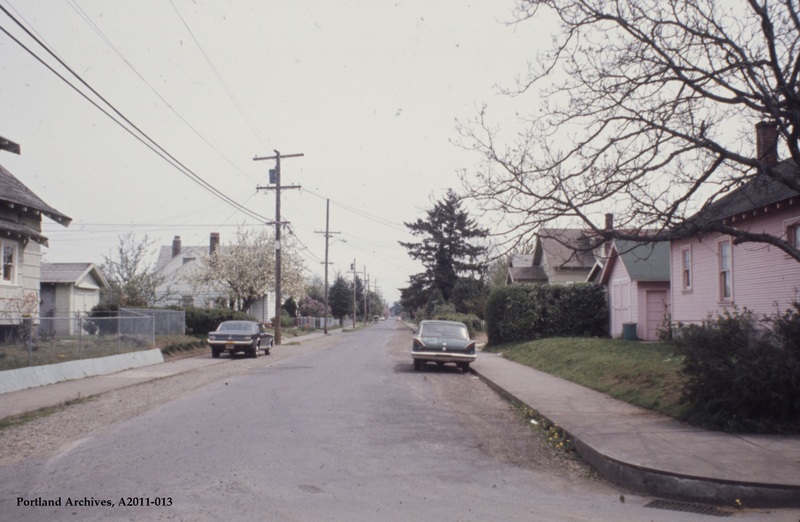 SE Center Street from SE 67th Avenue looking east, 1971. 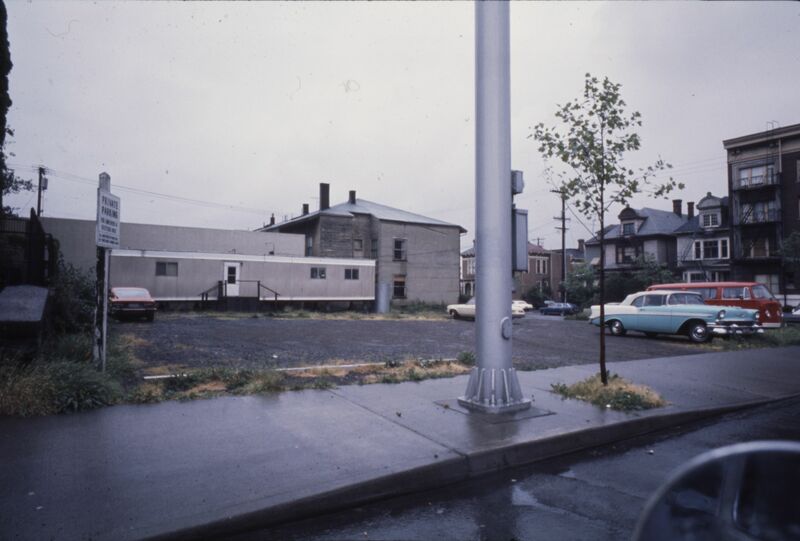 City of Portland (OR) Archives, VZ 83-71: SE Center from SE 67th Ave looking east, A2011-013, 1971. 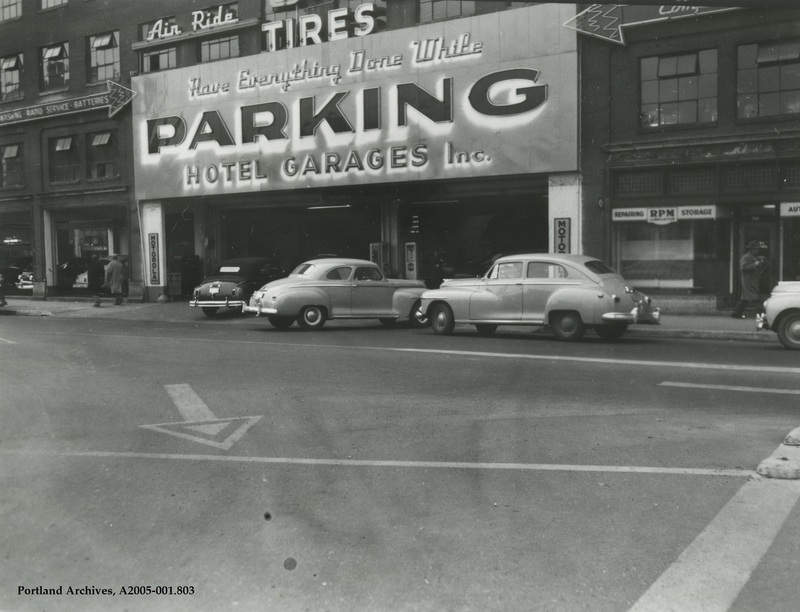 SW Pine Street between SW Broadway and SW 6th Avenue, circa 1949. Click here to see the location from a different angle from another post back in 2010. City of Portland (OR) Archives, A2005-001.803. 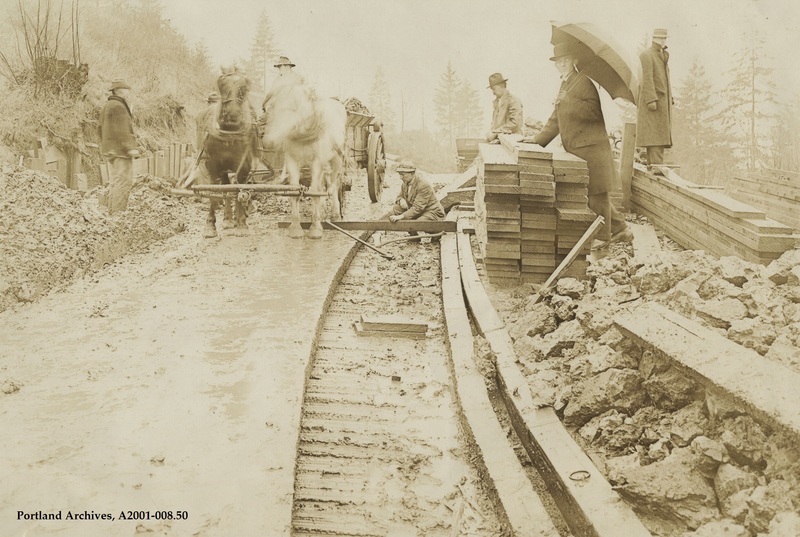 Street repair on NW Maywood Drive, 1914. City of Portland (OR) Archives, A2001-008.50. 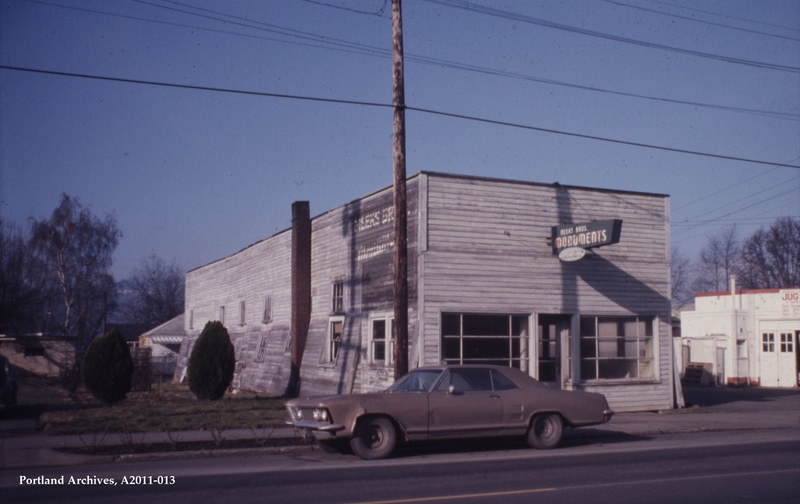 5609 SE Milwaukie Avenue near SE Ellis Street, 1973. City of Portland (OR) Archives, VZ 7-73: 5609 SE Milwaukie Avenue, A2011-013, 1973.